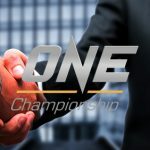 06 August 2018 – Shanghai, China: The largest global sports media property in Asian history, ONE Championship™ (ONE), has just announced the complete card for ONE: BEYOND THE HORIZON, set for Saturday, 8 September at the Baoshan Arena in Shanghai, China. Once again, the absolute best in local and international martial arts talent will take to the ONE ring to showcase their amazing skills. In the main event, reigning ONE Women’s Strawweight World Champion “The Panda” Xiong Jing Nan of China will defend her title against Samara “Marituba” Santos of Brazil. “The Panda” Xiong Jing Nan of China is the reigning ONE Women’s Strawweight World Champion. With a professional record of 15-1, Xiong began her career competing in professional boxing and was inspired by her father, who imparted in her values of courage and integrity. Featuring a wide array of skills, “The Panda” bagged a gold medal at the prestigious China Open Brazilian jiu-jitsu tournament in 2017. In her last bout, she defeated Laura Balin to successfully retain her ONE Women’s Strawweight World Championship for the first time. Up next, the 30-year-old defends her title against Samara Santos. 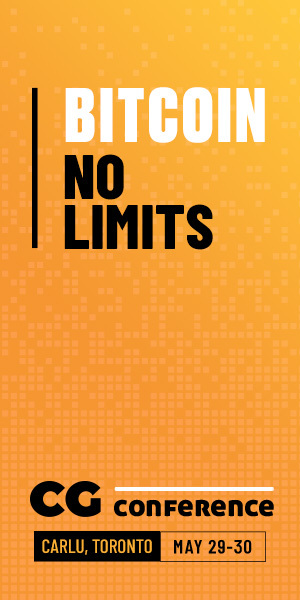 Samara “Marituba” Santos of Brazil is a 25-year-old female mixed martial artist who is set to make her promotional debut at ONE: BEYOND THE HORIZON. A former Salcaterra Marajo Fight Strawweight Champion, Santos has gained solid experience competing largely in her home country of Brazil for the majority of her career. 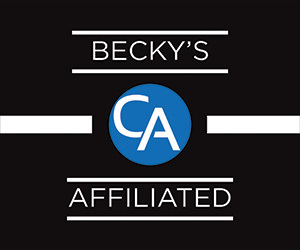 She has amassed a 12-5-1 record over the past three years as a professional, including six wins by submission. In her first appearance in ONE, Santos will take on defending ONE Women’s Strawweight World Champion Xiong Jing Nan. Former ONE Featherweight World Champion Honorio “The Rock” Banario is originally from a small farming town in the mountainous Benguet region of the Philippines. Banario earned a wushu scholarship to attend the Cordillera Career Development College in Baguio, and won several national tournaments. Although he spent most of his time competing against Team Lakay, he was intrigued by an invitation to train with them, and decided to take it up. Under the guidance of head coach Mark Sangiao, he developed into one of the team’s top talents. In recent years, “The Rock” has proven to be one of the most dangerous competitors atop ONE’s lightweight division. He takes on Amir Khan next. Former Singaporean Muay Thai champion Amir Khan moved to the United States to attend high school in Louisiana, where he began cross-training in wrestling and Brazilian jiu-jitsu under BJJ black belt Relson Gracie. Upon returning to Singapore in 2014, Khan joined Evolve MMA and became a part of its famed competition team. He then joined ONE that same year, and has since accumulated several highlight-reel finishes, highlighting his immense talent and growing skills. In his most recent bout, Khan stopped South Korean Sung Jong Lee with punches in the second round. Up next, Khan takes on veteran Honorio Banario. Edward “The Ferocious” Kelly trains at the famed Team Lakay alongside the likes of former ONE World Champions Eduard Folayang and Honorio Banario. With several impressive finishes against the world’s best on his record, Kelly has emerged as a contender in his own right. He even owns the second-fastest knockout in ONE featherweight history, a blistering 21-second finish of Meas Meul. The 34-year-old is a complete martial artist who looks to showcase Team Lakay’s world-renowned wushu every time he competes. Kelly has won four of his last six bouts, all by spectacular finish. He will now take on former ONE World Title challenger Christian Lee. 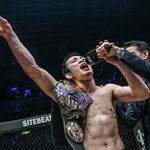 Christian “The Warrior” Lee, younger brother of reigning ONE Women’s Atomweight World Champion “Unstoppable” Angela Lee, began his professional career on an absolute tear, railing off five straight victories by thrilling finish. The 20-year-old has impressed fans with his ability to seek out stoppage wins over top-caliber opponents in an exciting, fan-friendly style. A former Pankration World Champion, Lee has won four of his last five bouts, showcasing his impressive skills inside the ONE cage. 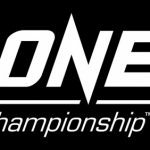 In his most recent outing, Lee challenged two-division ONE World Champion Martin Nguyen for the ONE Featherweight World Championship. Now, he is ready to return to action against Edward Kelly. Ognjen Topic is one of the United States’ top-ranked kickboxers. He is a three-time Muay Thai World Champion, and two-time national champion. Training out of his home base of North Jersey Muay Thai, Topic makes frequent trips to Thailand to sharpen his skills at Eminent Air Gym in Bangkok. He began training in taekwondo, and earned his black belt before transitioning to Muay Thai at the age of 18 after falling in love with the art. Since then, he has stepped into the ring over 50 times against Muay Thai legends such as Saenchai, Coke Chunhawat, and Paowarit Sasiprapa. Along the way, he won WBC and WKA USA national championships, as well as World Titles in the Muay Thai Grand Prix, IKF, and Lion Fight. Known for his highly technical style, Topic will now face Tukkatatong Petpayathai in a ONE Super Series kickboxing contest. Two-time Muay Thai World Champion Tukkatatong Petpayathai came from humble beginnings in a small countryside village in the Buriram region of Thailand. He was introduced to the world of Muay Thai by watching bouts on television with his father, and by the age of 10, he was already competing in his first bouts. Driven to further his success, he moved to Bangkok to train at the famed Kiatpetch gym when he was 14 years old. Tukkatatong has competed at the most famous stadiums in Thailand, including Lumpinee and Rajadamnern, facing the biggest names in the sport. He has amassed more than 270 professional bouts over the course of his illustrious 20-year career, capturing two World Titles at the famed Channel 7 Stadium along the way. Tukkatatong now makes his second appearance in ONE to take on Ognjen Topic in a ONE Super Series kickboxing bout. Former Trench Warz Featherweight Champion Roman “Boom” Alvarez was born and raised in Guam, and he currently still lives in his childhood home. Alvarez has put together an excellent 8-2 record, competing in Guam, Saipan, and the Philippines, and has won titles in both the cage and the grappling arena. He currently trains at Spike 22 under celebrated veteran coach Melchor Manibusan, and sharpens his skills every day alongside some of the top mixed martial artists in North America. Now that he has a chance to make his mark on the world in ONE, he will do whatever it takes to realize his dreams of international glory. Alvarez faces the dangerous Daichi Takenaka next. Former Shooto Pacific Rim Featherweight Champion Daichi Takenaka of Osaka, Japan was always athletic as a child. He played soccer and ran track in his youth, and began training in Brazilian jiu-jitsu after discovering it by playing video games. He is a grappling specialist who excels in executing the rear-naked choke, a move he has used to dispatch four of his opponents in his career. He joined ONE in February 2018, making his debut against the highly-regarded Dae Hwan Kim. Rocking an unblemished 11-0-1 professional record, Takenaka is considered one of the hottest tickets at bantamweight. He now puts his undefeated record on the line against Roman Alvarez. Top King Muay Thai World Champion Han Zi Hao of China is a Muay Thai practitioner who is based out of Bangkok, Thailand. The 22-year-old already owns an impressive professional Muay Thai record of 57-15 early in his career. A representative of Mad Muay Thai Gym, Han now finds himself looking to showcase his incredible striking skills on the biggest global stage of martial arts competition, joining elite athletes in the world of striking martial arts as part of ONE Super Series. Han’s first appearance for the promotion was a difficult one, however, as the Chinese stalwart took on the tough Panicos Yusuf. He now returns to action to face Stergos Mikkios in a ONE Super Series Muay Thai contest. Proudly representing Sityodtong Global is Stergos “Greek Dynamite” Mikkios, who has won numerous Muay Thai titles in the United States including Triumph Kombat, AKBF, and Friday Night Fights championships. Although he only started training in Muay Thai six years ago, it soon became his passion and purpose in life. He even quit his job, sold most of his possessions, and moved to Thailand to train and compete full-time. With a Muay Thai record of 19-9-2, Mikkios now showcases his talents on the global stage in ONE. In his most recent contest, Mikkios figured in one of the most entertaining Muay Thai bouts yet against Ognjen Topic. Now Mikkios comes back to the ONE ring looking for redemption against Han Zi Hao in a ONE Super Series Muay Thai bout. Shanghai Open BJJ Champion Chen Lei is from Changde, in China’s Hunan province. He first started his martial arts journey by training in boxing and Muay Thai, and then later switched his focus to the cage over the past few years. He even won a regional BJJ championship in Shanghai after developing his ground game. Training out of Equilibrium Beijing, Chen has since amassed a perfect 8-0 record in professional competition, showing his outstanding potential. This includes an impressive promotional run of three stoppage wins in 2017, when he defeated Malaysian Muay Thai star Saiful Merican and Indonesian grappling champion Jeremy Meciaz in stunning fashion. Next up, Chen takes on Muhammad Aiman. Although former MIMMA Featherweight Champion Muhammad Aiman is from Negeri Sembilan, he grew up in cities all around Malaysia due to his parents’ careers. At the age of 16, he picked up boxing, which proved to be the beginning of a fruitful martial arts journey that continues to this day. Having conquered the Malaysian amateur scene, Aiman then set his sights on international glory as a professional with ONE, and made a successful debut in September 2016. He has since registered wins over several tough opponents, including BJJ champion Eduardo Novaes, and has made a name for himself as a thrilling young talent to watch. Aiman looks to continue his quest for greatness against China’s Chen Lei. Former eight-time Kickboxing World Champion and professional boxer Daniel “The Rock” Dawson is an Australian martial artist who competes out of Perth, Western Australia. With a kickboxing record of 53-13, and a boxing record of 40-5-1 with 26 knockouts, Dawson is one of Australia’s most respected combat sports athletes. He has had a very successful career competing in events across Australia, China, Japan, Thailand, New Zealand and the United States. “The Rock” has now decided to take his talents to the prestigious ONE Super Series, where he joins a long list of striking legends. In his promotional debut, Dawson faces Mustapha Haida in a ONE Super Series kickboxing match. Mustapha “The Flying Dragon” Haida is a former ISKA Kickboxing World Champion. The 29-year-old from Florence, Italy owns a professional kickboxing record of 38-7-3, training out of Fight Club Firenze at home in Florence. With experience competing under Glory, Super Kombat, Kunlun Fight and Bellator Kickboxing, Haida owns notable victories over opponents such as Andy Souwer, Enriko Kehl, Dzianis Zuev and Abdallah Mabel. He is ranked among the Top 10 welterweights in the world. 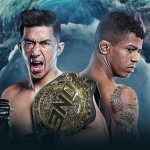 Looking to prove his skills on the biggest global stage of martial arts competition, Haida now takes his talents to ONE Championship, where he faces Daniel Dawson in a ONE Super Series kickboxing bout in his debut. Former two-time Muay Thai World Champion Hakim Hamech is a Muay Thai specialist and kickboxer from Lyon, France. Representing Team-NAS-R.K., Hamech has amassed a professional Muay Thai record of 42-8, and has impressed with his speed and power. After building a stellar professional career, Hamech now joins ONE Super Series to showcase his skills under the bright lights of the ONE ring, alongside the biggest tickets in striking martial arts. 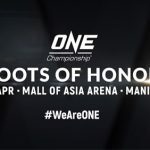 In his promotional debut, Hamech will search for his first victory in the promotion when he faces Japan’s Yukinori Ogasawara in a ONE Super Series Muay Thai contest. Former WBC Japan Super Bantamweight Muay Thai Champion Yukinori Ogasawara was born and raised in Tokyo. After a regular childhood hanging around his father’s convenience stores, he finally found his calling when he was 15 years old. On a whim, he had signed up to take up kickboxing at Crosspoint Kichijoji near his house, and it would become a turning point in his life. Ogasawara then spent three years studying abroad in Vancouver, Canada, but never stopped training, even competing in an amateur kickboxing match there. He soon made his professional kickboxing debut, and has since amassed an excellent 15-4-4 record, winning a national title along the way. He faces Hakim Hamech up next in a ONE Super Series Muay Thai contest. Former three-time National Kun Khmer Champion Phat Soda grew up as an orphan, and got into a lot of confrontations because of bullying. However, martial arts allowed him to turn his life around when he started training in Kun Khmer in 2012, and he has since accumulated over 100 bouts, winning national titles three years in a row. Driven by a desire to make a name for his country on the global stage, Soda joined ONE, and will attempt to show the effectiveness of Kun Khmer to the world. In his return to action, Soda takes on the tough Elipitua Siregar. Former Indonesian National Wrestling Champion Elipitua Siregar came from humble beginnings, having been born to a family struggling to make ends meet in Indonesia’s North Sumatra region. His family sent him to live with his uncle in Jakarta in order to learn discipline. That would come in the form of enforced wrestling training, which would not just reform the young Siregar, but change his life forever. The young Indonesian competed in wrestling throughout his academic career, and racked up numerous medals at the national level. After such a long run of domestic success, he turned his attention to international glory in the cage, and joined ONE. Determined to become one of Indonesia’s most elite martial artists, Siregar will now face Phat Soda.